Имате въпрос към Hotel Pine Spring Gulmarg? Построен през 2010, Hotel Pine Spring Gulmarg е важно допълнение към Гулмарг и разумен избор за пътуващи. Само на 1.6 km от градския център- това стратегическото местоположение на хотела гарантира на гостите си бърз и лесен начин за достигане до интересуващите ги точки на града. С удобното си местоположение хотелът предлага лесен достъп до всички градски забележителности, които задължително трябва да се видят. Предлагайки висококачествени услуги и широка гама от удобства, Hotel Pine Spring Gulmarg Ви осигурява възможно най-комфортния престой. Най-важните съоръженията на хотела са 24-часов рум-сервиз, безплатен WiFi достъп във всички стаи, съхраняване на багаж, паркиране на автомобили, паркинг. 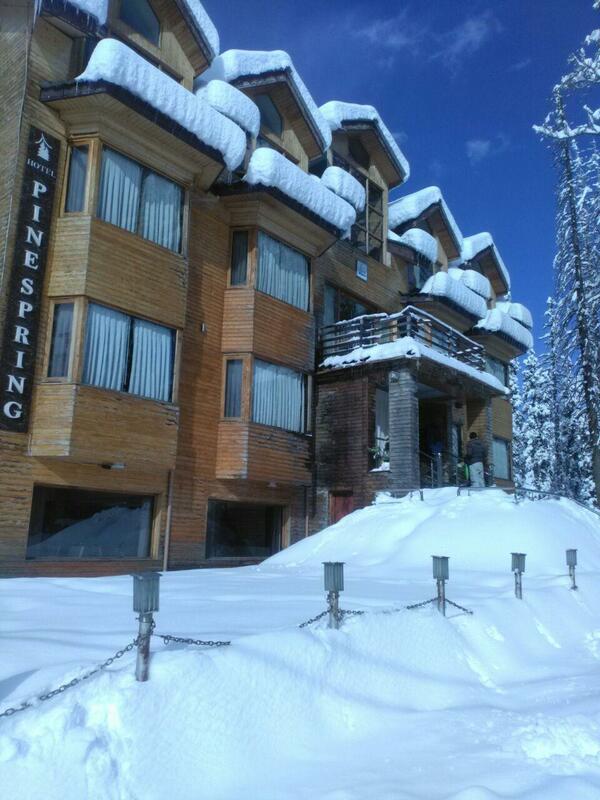 Hotel Pine Spring Gulmarg разполага с 32 стаи, които са обзаведени с вкус. Много от тях предлагат удобства като телевизор с плосък екран, безжичен интернет достъп (безплатен), стаи за непушачи, бюро, балкон/тераса. Хотелските съоръжения като градина са идеално място за почивка след тежък и уморителен ден. Открийте интригуващата комбинация от професионално обслужване и широка гама удобства в Hotel Pine Spring Gulmarg. Отседнахме 5 вечер/и в февруари 2019 г. Beautiful hotel nested between the mountains, good heating system, good food, good service. For ski rental I suggest the ski shop near the beginner slope, Rs.300 per day, good quality. For local food you should walk to the taxis stand. Gondola 10 minutes walk or reachable by skiing. The best location. Literally just next to the gondola station. And the staffs are very responsive if u ever need help on sth. The breakfast was also good. Stayed here for 3 nights starting Jan 30th, '19, which is the peak of winter. We stayed in a room (with a balcony) on the ground floor. PROs 1. They have bed heaters, central heating and they provide you with extra blankets and another small external heater if required. So heating is pretty sorted. Even the bathrooms are centrally heated. 2. Warm running water all the time. There is a hairdryer in there too. 3. Short walk from the Gondola station (via shortcut). 4. Lunch and Dinner at their restaurant was mostly good. Go for the buffet. 5. Rooms were clean. CONs 1. The location is slightly away from the golf course, around a 5-10 min walk. And it is about 2 kms from the main market area. 2. Wi-Fi is not good, as it is in most of Gulmarg. We had to tether from my phone everywhere. 3. Breakfast was not that great on all 3 days. 4. Slightly overpriced (but better than most of the options available at this price or even lesser). All in all, I would recommend anyone to stay here. Overall Nice Budget Hotel for families. Food is good and service is good. However the first day of our stay we were not provided with Bed heaters and we literally suffered without sleep and the cold, the temperature outside was -16 . c . We wore all the inner clothes and coats that night which were actually meant for outside wear for cold protection. The room heating was not effective at all. We actually wanted to check out the next morning but we were promised bed heaters so we stayed back. The next two night were comfortable. The location of Hotel is near to Ski Lift and Cable car Gondola. Hotel need to improve central heating of rooms and inner spaces of hotel. The hotels needs to improve on many fronts which will make visitors stay more memorable. The hotel is clean and enough to keep us warm during winter because there are 2 types of heater (central heater in the room and electricity blanket). The hotel location is near to gondola (walking around 5mins). The staff is very friendly and helpful. The room and bed are clean and Wifi (the most important part) is working well. At $85, I was expecting a decent place, to say the least. But it is dated and is in need of some renovations. The dinner was good, but the restaurant itself was dirty and untidy. Breakfast was limited and could have been better. The rooms were okay but definitely not worth the amount we paid. The heater was only being switched on at 5 pm, which meant us walking in from the freezing cold outdoors to almost freezing cold indoors. Though at least that was made up for by a proper hot shower and heated blankets The staff were polite and friendly but not very helpful and didn't seem to have done their tasks properly, for when we checked in, there was no toilet roll, no wifi password, (which was intermittent. when we eventually were given the passwords), no extra pillows for the kids and TV subscription was not paid for (got another one from another room). The location seems to be its strongest point, which is a 10-minutes walk to the Gondola/Cable Car. Love the way they are! we were here for ski holiday. very friendly staff, cosy rooms with views in restaurant and common living area, staff went out of their way to prepare bfast at 6am because we had to leave early to airport at 630am! even helped accompanied us on snow/slippery road to our car to ensure we get there safely. ten minutes walk to the gondola and bunny slope. excellent food too! Отседнахме 6 вечер/и в февруари 2018 г. Nice rooms with balcony,good hot shower,cosy warm in winter, great food, good location, would return there without hesitation, good value for money. The location is walking distance to gondola, staff is very courteous and helpful. Facilities are excellent with electric heaters and centrally heated rooms, hallways, and bathroom. It's a comfortable place to stay! 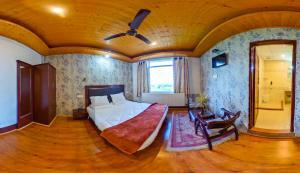 winter stay at Gulmarg adds value when one is at pine spring. Food at their restaurant is too delicious. Staff are decent. The room and the view are superb. Has bed warmer which helps a lot during early winter where heater is not function yet. 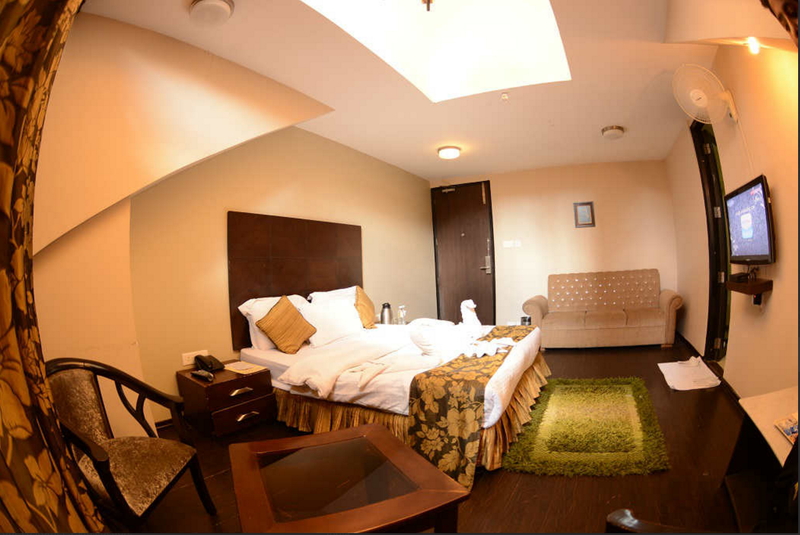 Overall the room is spacious and the hotel staff is friendly. great place. staff was extra helpful. wifi was down in the whole area. person at the reception would put hot spot for us every day from his personal mobile since international roaming was barred on our phones in kashmir. I liked a lot because location was very close to the condola so it was very simple to go and ski by foot from the hotel. Hotel also has working heating (room and water) so staying there winter time is very good! Every skier will like this hotel if it fits the budget. It truly is worth it!